While the system requirements may look harsh, the game isn't that demanding and can comfortably be played on a system meeting the minimum requirements. The secret is the gameâ€™s very aggressive level of detail system - which tends to be a little too eager, causing higher-quality versions of characters and objects to suddenly â€˜popâ€™ into existence. Furthermore, the drawing distance setting seems a little too low by default, causing entire mountains to suddenly appear, and you canâ€™t change this setting so better systems can mitigate or eliminate this. While the lack of overall settings are a bit of a letdown, the engine manages to scale very well over various hardware configurations. Testing was performed on a system with an Intel Core 2 Quad Q9400 CPU with 4 GBs of RAM and an Asus GeForce GTX 650 Ti, running at a resolution of 2048x1152. There are quite a few video options, however the game lacks any separate anti-aliasing modes. Some options are not labeled correctly, but that's a minor issue. The game doesn't feature any general graphic presets. In our slider comparisons, the lowest and highest values of each setting have been compared, and most differences should be fairly obvious and noticeable. While using the highest available settings, the game will be able to render more entities over larger distances, the textures and the shadows will also look far sharper. This setting controls the intensity of the motion blur effect which is activated by quickly moving the camera around, this effect can be disabled entirely if desired. The depth of field effect is heavily used during most cutscenes and during most combat-heavy situations, such as while aiming or crouching and whilst grabbing actors. The effect can easily be triggered by simply aiming at a certain entity, enemy or any other actors. Anything else around the object will be out of focus. This setting controls how much clutter, grass, rocks, props, barriers, and other details will be visible over certain distances, while also changing which and how many entities will appear before the player gets too close to them. The setting itself doesn't affect the models in any way; however, the game will begin using the higher quality versions of the existing models whenever possible at higher detail values. The Afghanistan environment is already pretty detailed on its own, all the extra geometry might be slightly difficult to spot at first. This setting can optimally be kept on High; most modern systems, however, should be able to easily cope with this setting on Extra High without any major framerate hits. On the lower settings most textures will have a very washed-out look. At the highest settings most differences will become pretty small and hard to spot. Most changes are really subtle: in the following image the pipes and the drainage channel have slightly better textures while everything else looks pretty similar. Curiously, the texture quality setting also affects elements which are part of the user interface, such as the mini map and certain smaller buttons. Next to the lighting setting, this is the most intensive setting in the game. On Low most shadows look blurry and have many jagged edges, while on Extra High the shadows are far sharper and cleaner. The most obvious changes can be seen while playing in the outer environments. Smaller models and other entities will also begin casting their own high quality shadows at higher values. However such differences are very hard to spot during normal gameplay. This setting sets the overall draw distance for any distant lights. On lower values the player has to get really close to a light before the light itself can begin casting itself onto the surrounding environment. This setting can be a huge performance killer on slower systems; even more modern systems might suffer quite a bit from this setting. If there's any issue with this setting, keep it set to High. The post processing setting mainly applies bloom onto certain models, along with some anti-aliasing levels. The anti-aliasing setting is directly tied to the post process setting and is very lightweight. It can easily be raised to the maximum value with next to no loss in performance. Notice the ground on the far right and how it becomes excessively-bright on Extra High. The post processing may also affect the surrounding terrain in other odd ways when set to any values lower than Extra High. However, these issues are ultimately inconsequential. The post process effect will also make any decals in the world shine in the light. This setting controls various particle effects such as rain and dust particles. This isn't very demanding performance-wise and doesnâ€™t display well in screenshots; however, most differences are far easier to spot while playing the game. This setting can also affect any weather effects such as the rain, on the Low setting the raindrops look far worse than the Extra High ones. The game has a fairly simple and light ambient occlusion implementation which can easily be set to High or Extra High without having to worry about the resulting performance. The shadows and the ambient occlusion settings greatly affect how the outer environments look and are perceived to a large extent. Without the ambient occlusion most entities look like they are floating. Most interiors also look pretty bare without this setting, and any characters will also be affected. Even though this gameâ€™s ambient occlusion is very basic, the difference is instantly noticeable. Note how the staircase in the below screenshot stands out on Extra High compared to Off, where it almost seems to float in the scene. This setting replaces the cheap clouds with far more realistic ones. The effect is pretty lightweight performance-wise while greatly improving the game's look. The game performs amazingly well, it also manages to scale incredibly nicely on slower hardware, the loading times are also incredibly short and in the end the game behaved better than expected. Testing was done on a system running an Intel Core 2 Quad Q9400 CPU with 4 GBs of RAM and an Asus GeForce GTX 650 Ti, running at a resolution of 2048x1152. While the game performs very well, there are still glaring issues with the way controls are being handled. Very few keys can actually be bound; however, this is a minor issue. Most menus have very poor mouse input, the map and the quick action menu being among those, being very finicky and awkward to use. Furthermore, certain menus can only be controlled using the keyboard, which also behave poorly. The horse controls themselves also tend to be pretty unresponsive on both a keyboard and a controller. The default controller scheme in general can occasionally be pretty awkward to play with; mouse aiming also has its own issues. It doesn't feel as precise as it should be, and it feels very floaty. There are only two audio options - the game lacks basic separate volume settings for sound effects, music, ambient noises and voices, which you'd might expect. 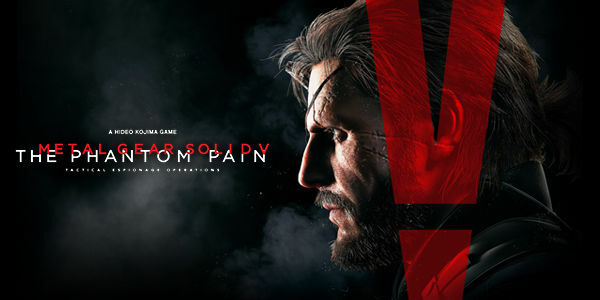 While Metal Gear Solid V: The Phantom Pain performs excellently on PC, the lack of good mouse and keyboard support, along with the basic audio options might ruin it for some. A controller might be needed in order to properly enjoy the game, which is really a shame considering this is otherwise a joy to play - and being able to play a modern Metal Gear Solid game on PC is completely priceless. PC Reports are a series of quick first impressions regarding the technical aspects of a PC game. This report was written by PCGamingWiki contributor RaTcHeT302. For an up to date account of Game Name fixes and improvements, please visit its respective PCGamingWiki article. One thing to note is the NVIDIA-specific settings for ambient occlusion (http://pcgamingwiki.com/wiki/Metal_Gear_Solid_V:_The_Phantom_Pain#Enable_HBAO.2B) - the implementation of AO in the game itself creates a dim/fuzzy halo effect around most geometry, most noticeable around Big Boss's legs. Standing on a helipad, for example, with the shadow at about 5 o'clock, is where it's most visible. The NVIDIA setting will remove this odd halo and bring in the needed ambient occlusion effect. I didn't bother mentioning that seeing as I didn't really have any solutions for it. There are lot's of things I had to omit though as I had to write this in a whole day, I just wish my articles weren't fully re-written though, some informations have been removed but that's something I'll have to discuss with the wiki staff, I'm just dissapointed that I never have enough time in order to make these better, there are many things I would've liked to get into more detail, the current blog format is pretty terrible though and I can't showcase most examples in a clear manner, I had to scrap too many pictures because of this, that single benchmark is also crappy but I really had to hurry up, I can't really improve the article now though seeing as most people will never really see it ever again. I could always try to though but I don't see the point. I'm just really dissapointed with the quality of this report, but there's not a whole lot I can do if I want things to be done in a timely manner. There are many keyboard related issues which I really didn't have time to get too in depth either but meh. I noticed that the effects setting can get pretty performance intensive later on, I just had no way of knowing that without the playing the game for a little longer, blah. Oh I also wanted to mention how Metal Gear Solid V goes for those really sharp shadows, there's no options for any soft shadows which is kinda lame. PS: I wish I could unlike the report, I cliked on that button accidentally. Didn't actually mean to.